A sketch is done from customer idea inputs to make sure that development comply with requirements needed. Through a 3D software a project is done and further adjustments before to proceed to make a prototype. 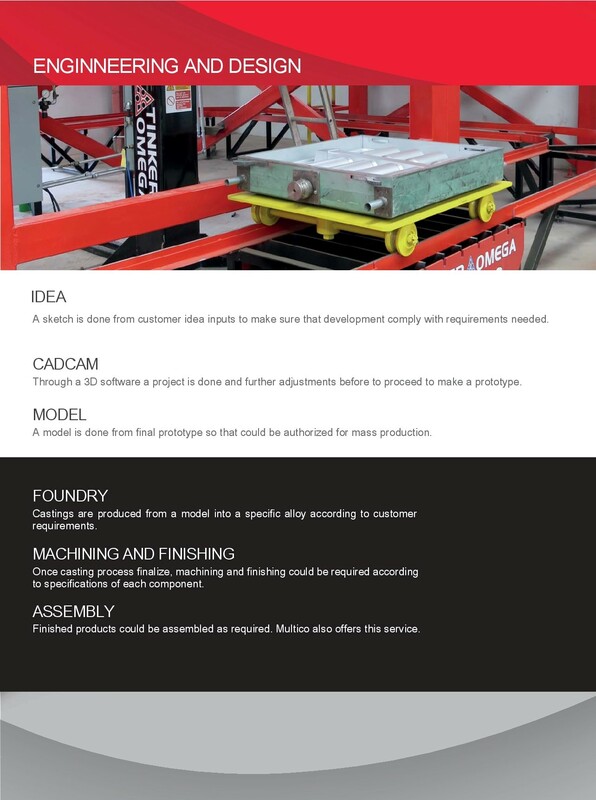 A model is done from final prototype so that could be authorized for mass production. 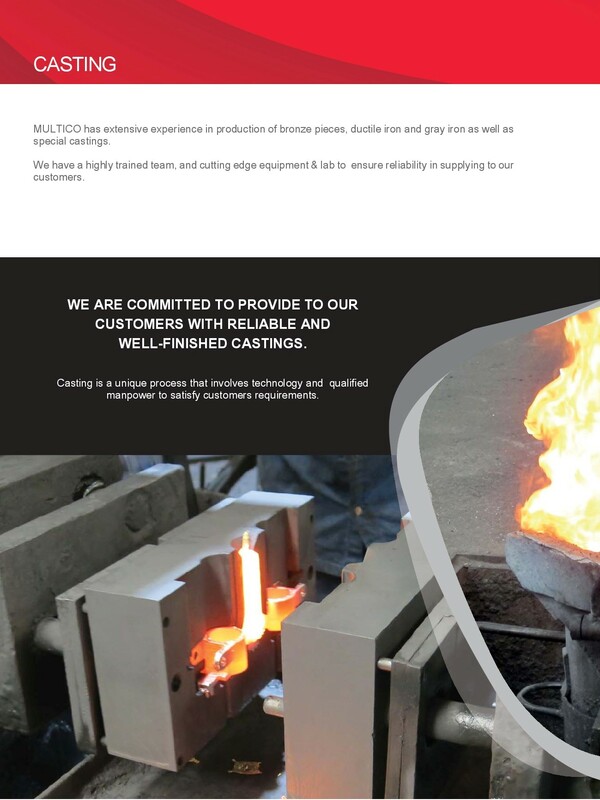 Castings are produced from a model into a specific alloy according to customer requirements. 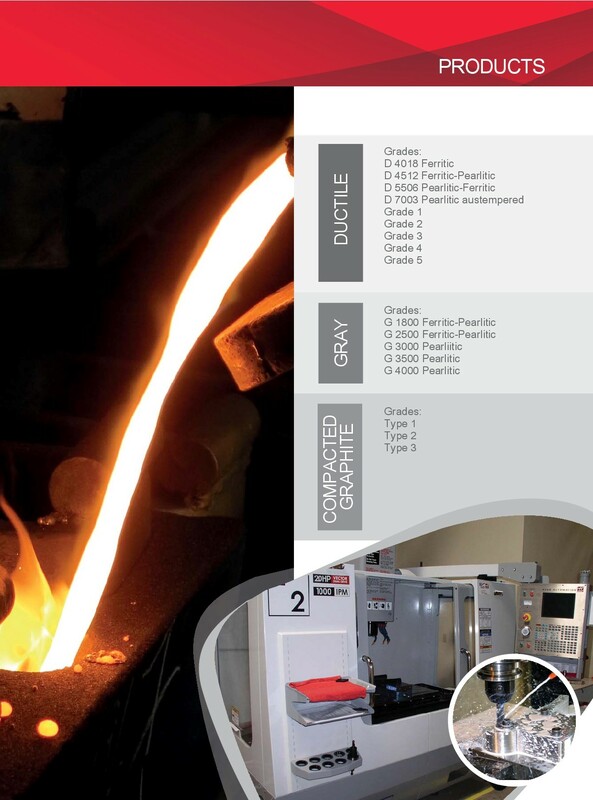 Once casting process finalize, machining and finishing could be required according to specifications of each component. Finished products could be assembled as required. Multico also offers this service. 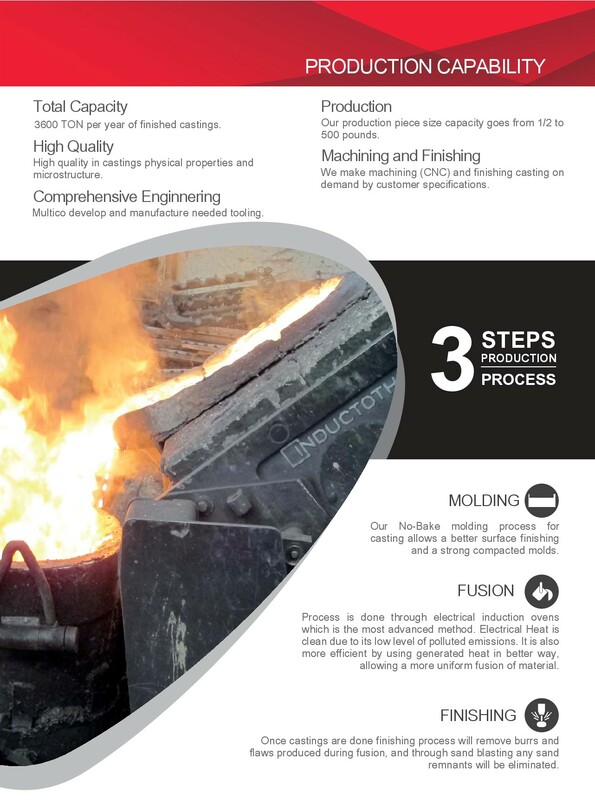 3600 TON per year of finished castings. 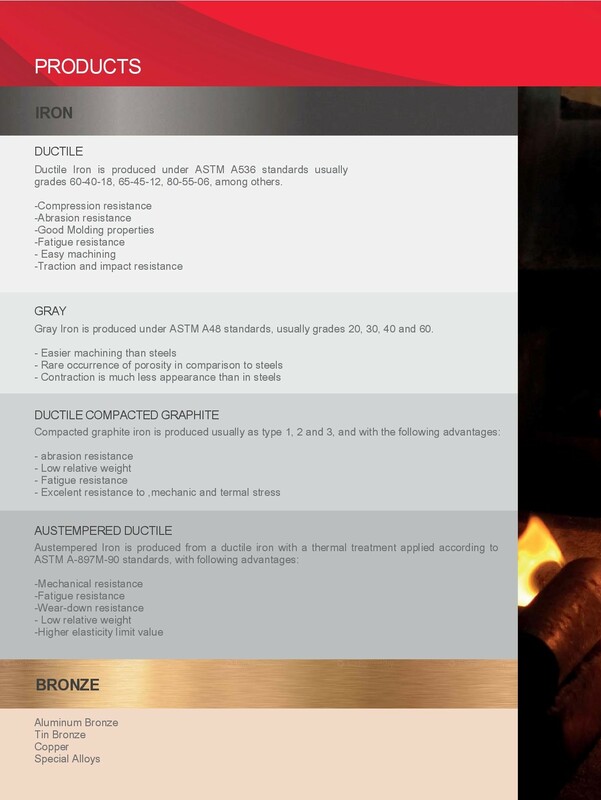 High quality in castings physical properties and microstructure. 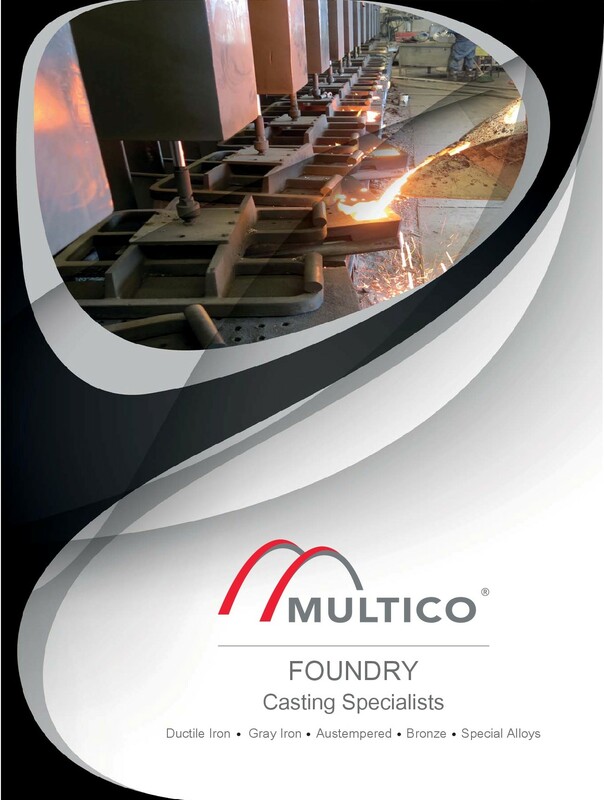 Multico develop and manufacture needed tooling. Our production piece size capacity goes from 1/2 to 500 pounds. We make machining (CNC) and finishing casting on demand by customer specifications. Our No-Bake molding process for casting allows a better surface finishing and a strong compacted molds. Process is done through electrical induction ovens which is the most advanced method. Electrical Heat is clean due to its low level of polluted emissions. 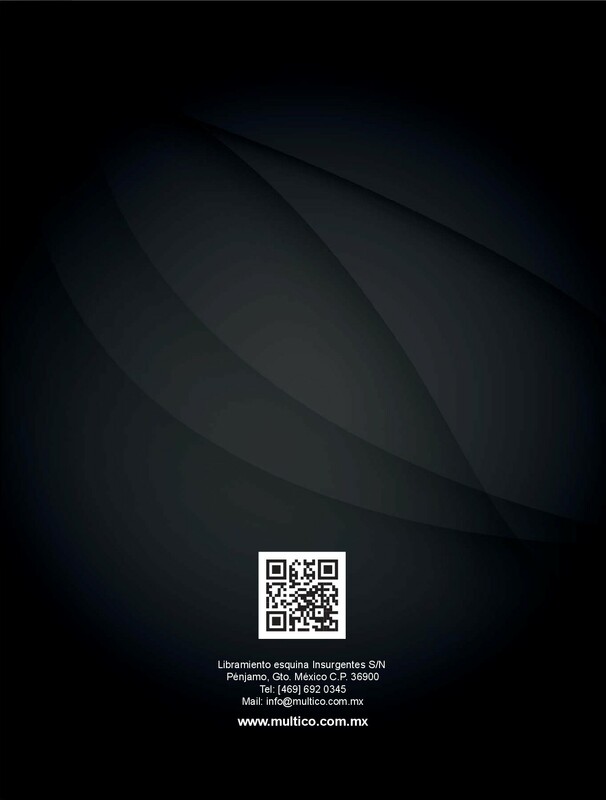 It is also more efficient by using generated heat in better way, allowing a more uniform fusion of material. 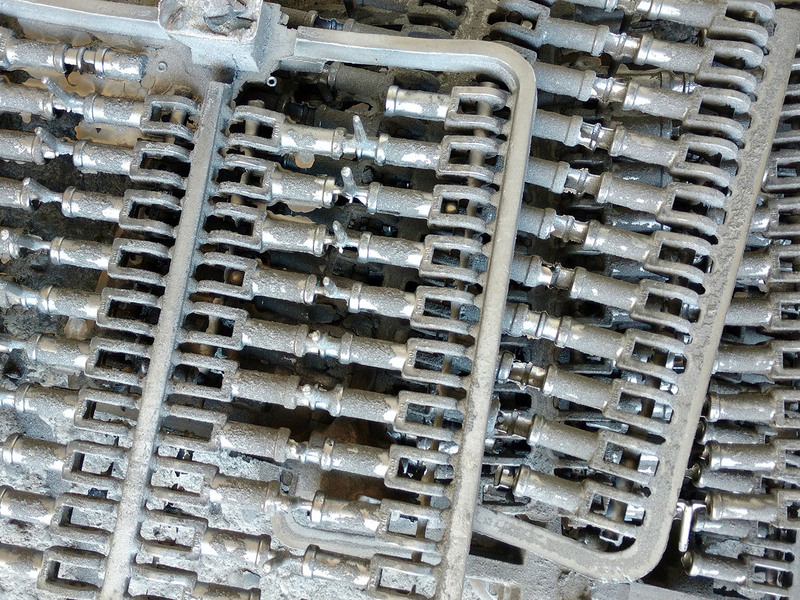 Once castings are done finishing process will remove burrs and flaws produced during fusion, and through sand blasting any sand remnants will be eliminated. 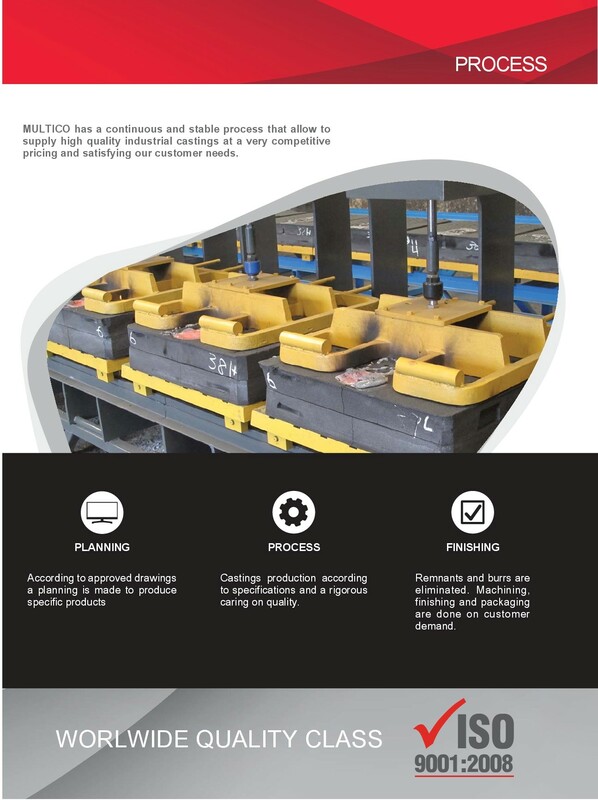 MULTICO has the capacity and experience to manufacture cast bronze alloy products up to 75 kilograms per piece, gray iron and nodular iron up to 180 kilograms per piece, which is why it offers these high quality casting products at very low prices.